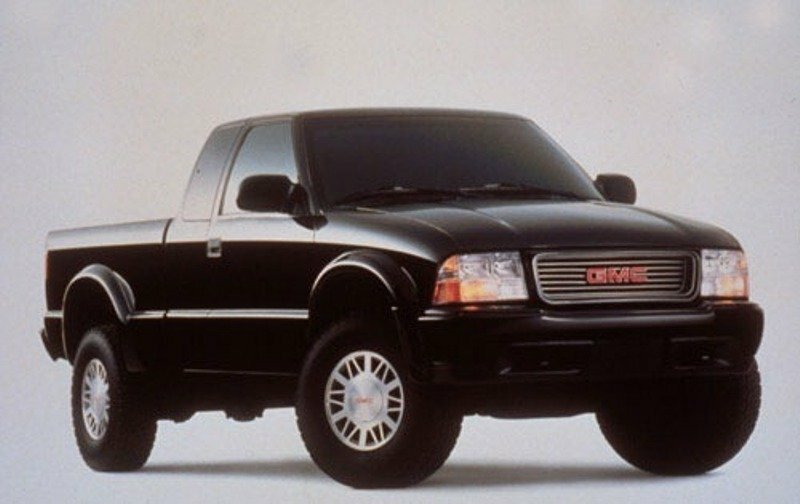 The GMC Sonoma was commercialized between 1994 -2004 and served as a base for all the following midsized pickups designed by the company. The truck had a competitive price, was pretty efficient and was also highly versatile being able to cope with a wide range of arduous applications. The Sonoma was built in two generations and the second generation can be still seen today, in isolated corners doing some heavy duty jobs. The old GMC Sonoma however, wasn’t at the same level with its Japanese rivals and this is one of the reasons which made GMC realize that it should leave this model behind and move on. The latest generation GMC Sonoma was offered in regular, extended and crew cab bodies with short and long beds. Engine choices included a 2.2-liter four-cylinder (118 horsepower), a 4.3-liter V6 (165 hp) and the Vortec 4.3-liter V6 (195 hp). 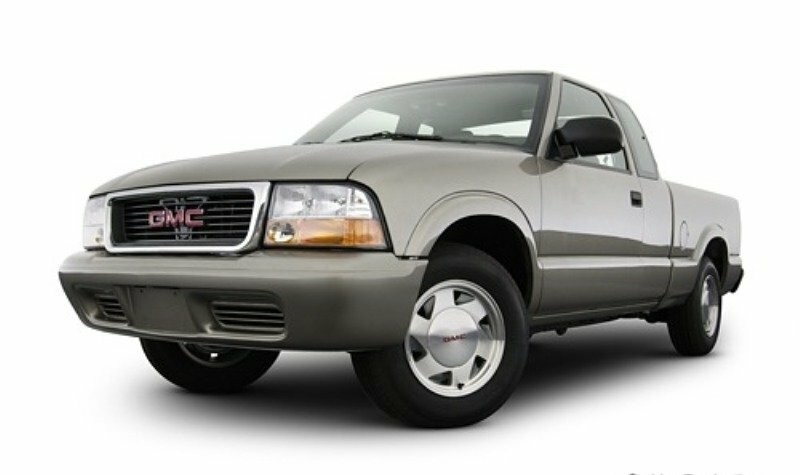 The exterior style of the GMC Sonoma was 100 percent conventional without any fancy lines to break up the monotony. The body panels were also pretty clean, with plain surfaces and robust lines. Up front there was a classic GMC rectangular grille, flanked by two massive headlights with integrated turning signals. The front bumper wasn’t something to rave about and continued the same basic design language found at the rest of the body. 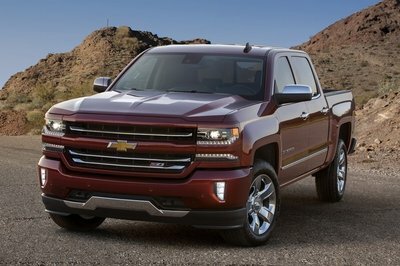 The off road character of the truck was enhanced by its tall ground clearance, the big wheels and the flared fenders. At the back there was a set of rectangular taillights and a wide opening tail gate which offered easy access into the load bed. The rear bumper was pretty practical as it could’ve been used as a convenient step to climb up into the tray. 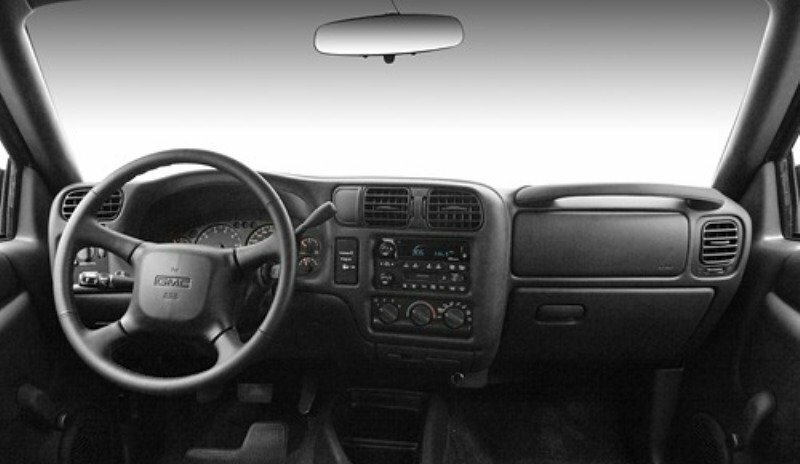 The GMC Sonoma came with a dull and spartan interior that was a perfect match for its agricultural character. The dashboard had a robust but practical design with the central console slightly curved toward the driver to offer easier access to the HVAC controls and the audio system. Every plastic was rock hard and the other materials were also part of the third class. The build quality was at par with its American counterparts, but slightly behind the Japanese rivals. There were also a few storage compartments thrown around the cabin including two uninspired cup holders nested between the front seats, a big glove box and a pair of convenient door pockets. The seats were hard and totally devoid of any side bolstering which made them pretty rudimentary. There were however a few basic adjustments, but they weren’t of much help and you’d had to deal with a pretty spartan driving position. The dash was a bit higher than usual which limited a bit the front road visibility, but other than that the all around visibility was pretty good. The four spoke steering wheel featured a rudimentary design and it was also placed a bit too high being a bit difficult to use. Not to mention about the poor sound proof, as wind and engine noise enters the cabin like it owns the place. The second generation GMC Sonoma was offered with three engine options. The entry level unit was a 2.2 liter four cylinder which developed 118 hp, followed by a 4.3 liter V6 which came with 165 hp on tap. 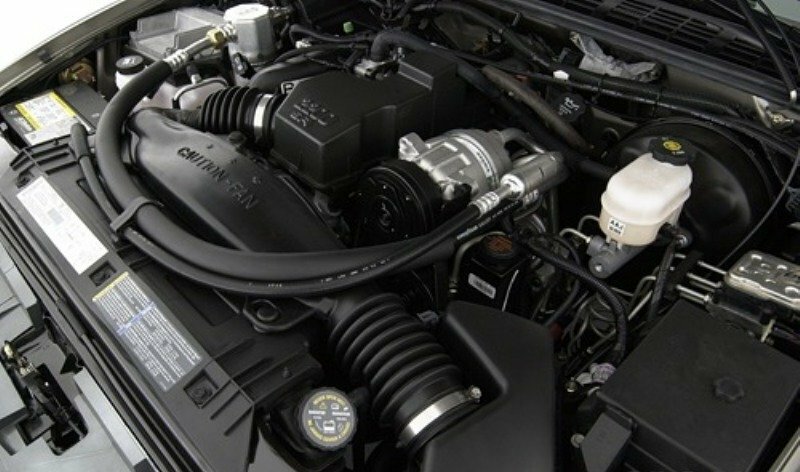 The top of the range GMC Sonoma was equipped with a 4.3 liter Vortec engine that churns out 195 hp. Despite being the strongest engine in the lineup, the Vortec unit still find it hard to deal with heavy loads and its performances weren’t at the same level with its Japanese rivals. The weaker units were even worse and especially the 118 hp was pretty sluggish and unrefined. All three engines were available with either five-speed manual or four-speed automatic transmissions, and four-wheel drive was optional. The GMC Sonoma’s suspension was pretty rigid, as it had to deal with heavy loads without backing down. This means that the ride is pretty stiff and you can feel every bump of the road directly into your spine. The handling was pretty predictable with small body lean into corners and a direct steering. Safety features were pretty limited, yet rear antilock brakes were standard. Four-wheel ABS was optional on four-cylinder models and standard with the V6. There was also offered a driver airbag. The old GMC Sonoma was a rugged and unrefined work horse that was build to endure harsh working conditions without whining. Its engines weren’t as lively as expected, but in the end they’ve managed to get the job done and offered reasonable fuel consumption for their time. The ride was stiff and the overall road manners were pretty agricultural, but this was the usual treatment offered by this type of vehicles. 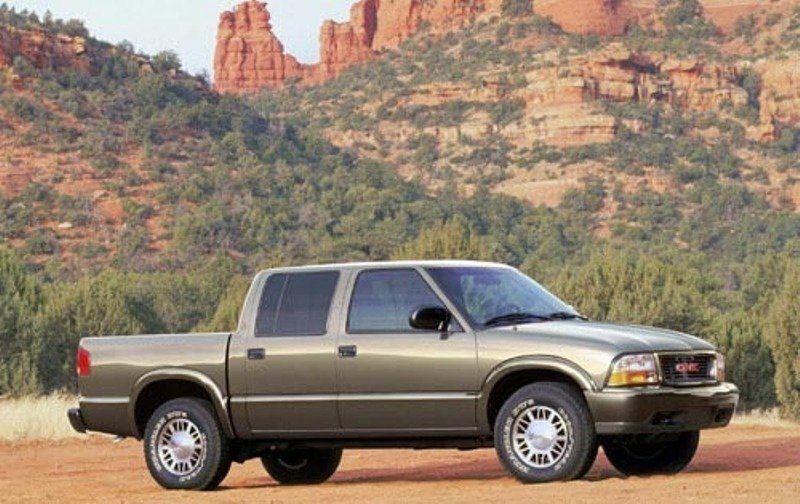 The GMC Sonoma’s cabin was pretty spartan with cheap, hard textured plastics and third class build quality, being a half step behind its Japanese rivals. On the other hand, the GMC Sonoma was pretty reliable and came with cheap maintenance costs.